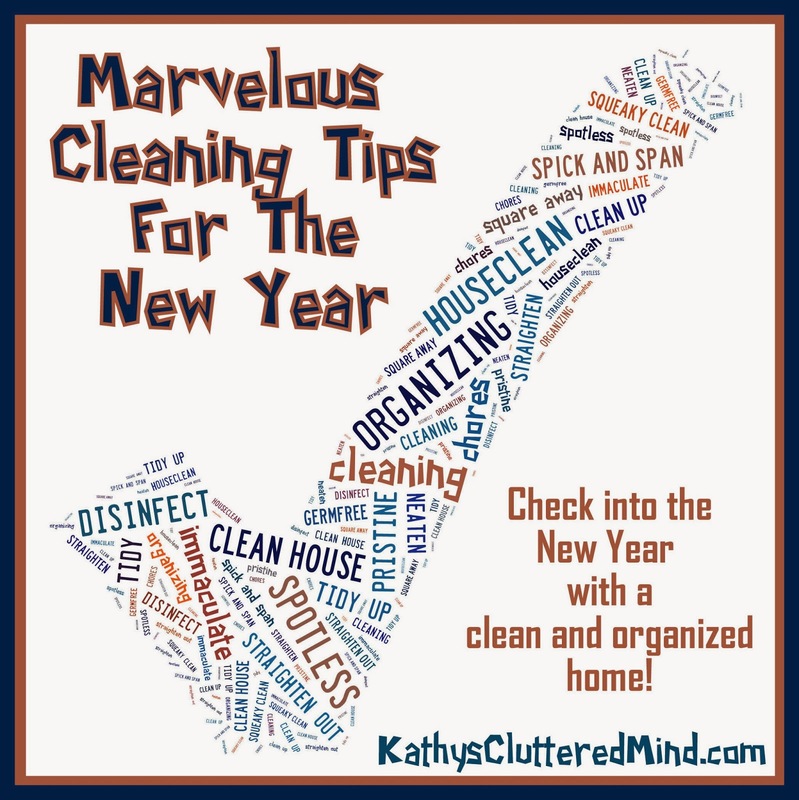 This New Year cleaning resolution tips post is brought to you by Mr. Clean as part of a Type-A Parent Community Sponsored Post. I am a stay at home, homeschool mom. That means that my two kids are pretty much always home (well expect for when we are out on a fun adventure) making messes. And boy can they make messes, they are like little tornado's. I am also a wife, blogger and social media manager so when I am not helping the kids learn I am busy working or spending time with my husband. After tending to the kids, my husband and work there is little time left for household chores. I am always looking for ways to streamline cleaning, organization and meal times. 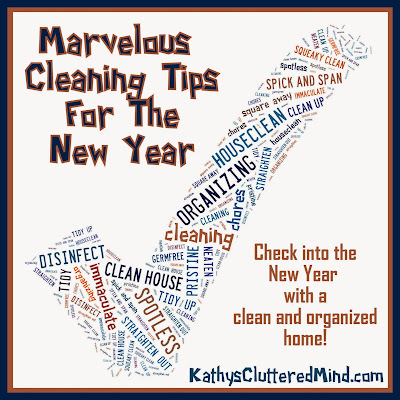 And since the New Year is right around the corner it is a great time to make those cleaning resolutions. 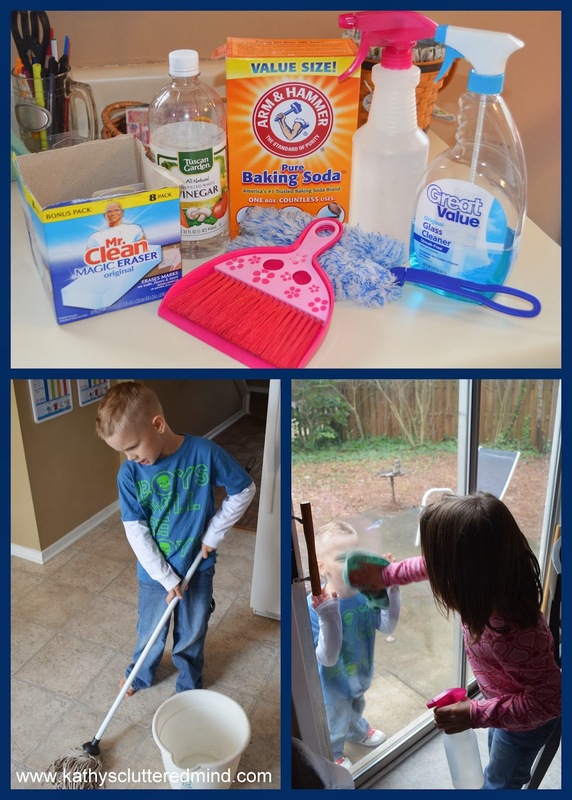 All of these tips help make cleaning go more smoothly in our house and help free up time for me and the rest of the family. With these tips implemented cleaning is no longer dreaded and mundane. 1) Getting the ENTIRE family (including the kids) involved in cleaning and organizing. This is my number one tip for a reason! 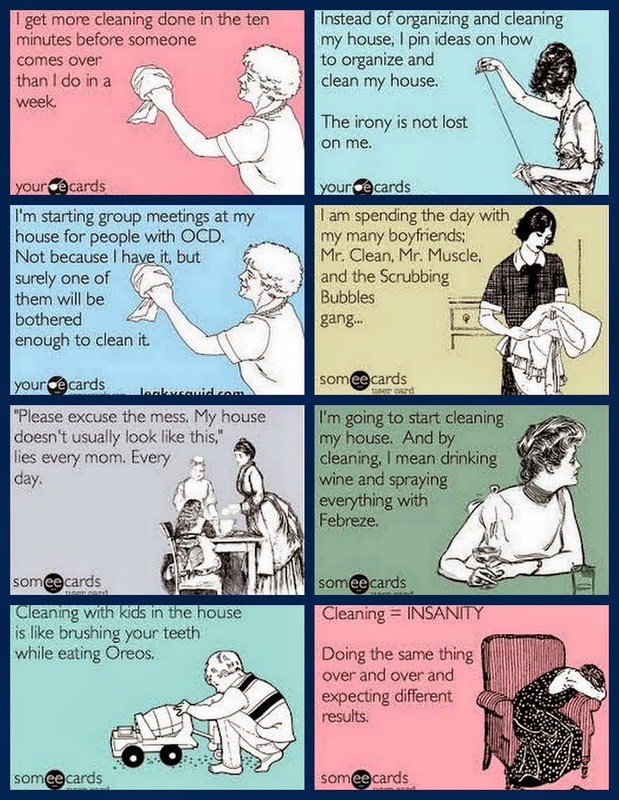 With a little perseverance and teamwork household cleaning and organizing will no longer be difficult and exhausting. Don't be afraid to ask for HELP around the house even when you don't think you need it. Start children out at a young age. Even a 1 or 2 year old can help out by picking up toys and dusting. Letting children help to clean up messes, fold the laundry, wash the dishes, etc will teach them valuable life skills, perseverance, patience, time management and the value of helping others. Children need to understand that as a family it is everyone's responsibility to clean up and help out around the house not just mom's. I have even had my children help with breakfast, lunches and dinner and they are only 6 and 7 year's old. Also did you know that learning to do tasks, helping out around the house, and being relied on by others in their family can help build self confidence and self esteem in children? 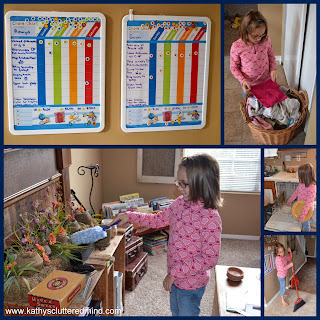 If you need some ideas on what kinds of chores your children can help out with be sure to check out my Top 10 Kids Chores post. 2) Utilizing the one minute rule. If there is something that needs to be done and takes less than one minute to do, do it immediately rather than waiting until later. Doing a small task right away will help alleviate more work later. A few toys and books or a little spill on the floor only take one minute to clean up! 3) Breaking up chores throughout the week and taking a little time each day (even if it is just 10 minutes) to clean and tidy up. Perhaps you focus on one task (like laundry) or one room a day. Anyway you choose to do it you will save yourself from having to take an entire day (or two) to tackle all of the chores at once. 4) Making chores fun...yes I totally just said chores and fun in the same sentence. This is especially important for children. Listen to music or turn cleaning up into a game. 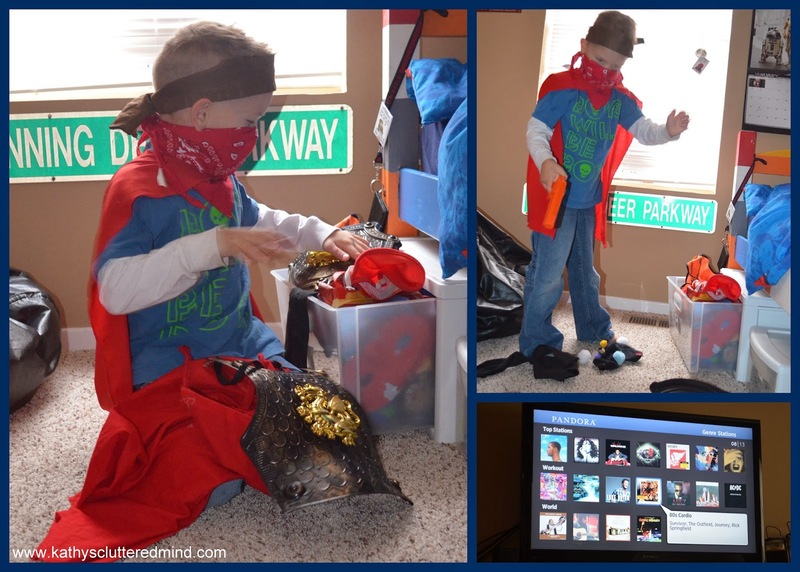 Heck even dress up as the cleaning bandit. 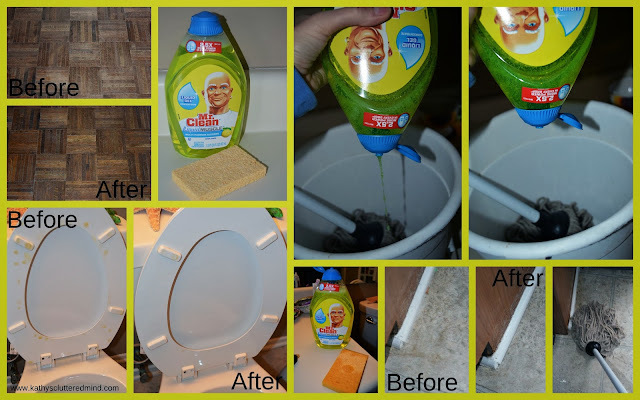 5) Making sure you have helpful all purpose cleaning products like Mr. Clean Liquid Muscle gel that helps get rid of tough dirt with one swipe and very little muscle. Mr. Clean Liquid Muscle can be used on all surfaces porous and non-porous and provides 2.5x more power than regular all-purpose cleaners. It doesn't contain phosphates, chlorine, bleach or ammonia so it's great for people like me with sensitive skin. And it's perfect for both household and commercial use. Mr. Clean Liquid Muscle not only gets your counters, floors, toilets, stoves and tables sparkling clean but it also leaves them smelling good too. This awesome product is around $5 and comes in lemon scent, Febreze meadows and rain scent, Gain original fresh scent and lavender scent with the grease fighting power of Dawn. The Mr. Clean Liquid Muscle bottles come with a unique dosing cap to make sure there is no waste. You can dilute Liquid Muscle in water or apply it directly to a sponge or surface. This cleaner really packs a punch and penetrates dirt and grime like no other. Here are a couple photos showing how well it worked on our foyer hardwood floor, a floor that sees the most traffic in our home. And my children's filthy toilet (little boys really are kind of nasty). And the kitchen linoleum. Make sure you not only have great cleaning products but also the right cleaning tools (make sure some are child sized). Stock up on Magic Erasers (perfect for kids), sponges, spray bottles, brooms (adult and child size), mops (adult and child size) , feather dusters and dust pans. I have found that Dollar Tree has a great selection of child sized cleaning tools including brooms, mops, dust pans, feather dusters and spray bottles. For children be sure to also use safe cleaning products like vinegar, baking soda, and plain water in spray bottles so there is no need to worry about them coming in contact with harsh chemicals. These inexpensive household products work great for cleaning walls, mirrors and windows. Which are all simple chores for children to help with. 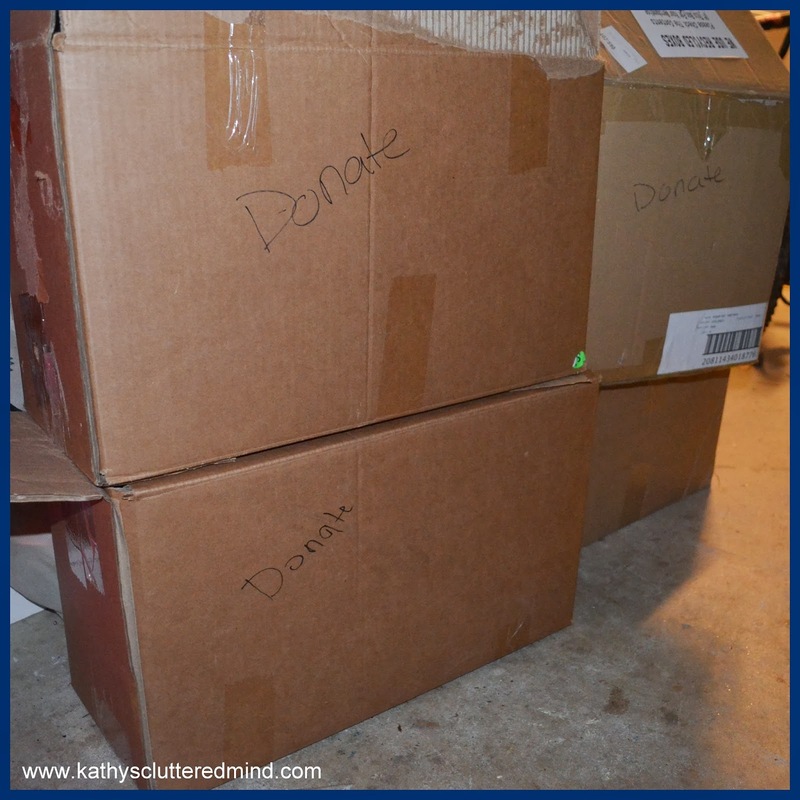 6) Purging clothes, shoes, toys, household items etc. every couple of months (or quarterly). If you purchase something new be sure to donate an old item. Decluttering can really help make cleaning and organizing much easier in the long haul. 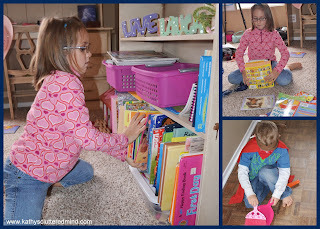 7) Making organizing simple, even for kids. 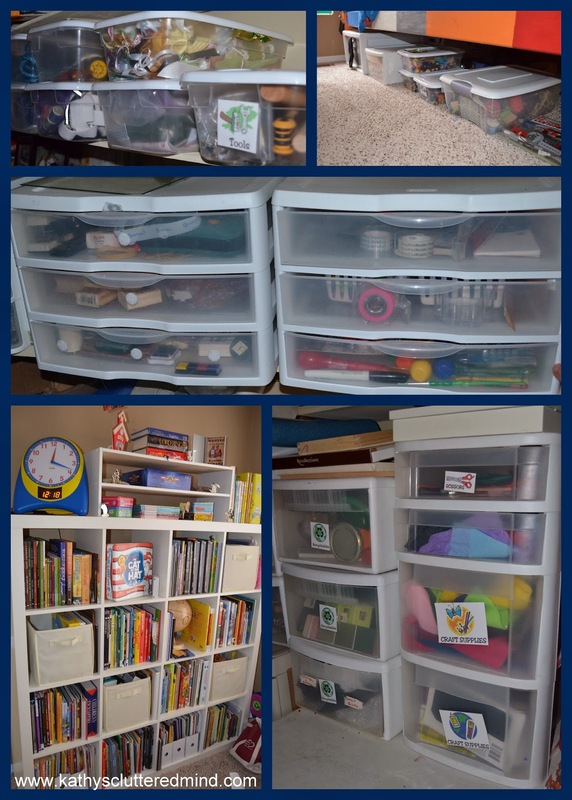 Use storage drawers, plastic shoe boxes and canvas bins for organizing toys and other materials. 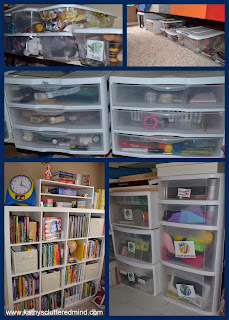 Label drawers, boxes and bins so everyone knows exactly where to find things and put things back! I have a laundry basket that I carry around with me when I clean. Anything I find that isn't where it belongs goes into the basket for the owner to claim and put away. Saves me a lot of time running around. Chrissey A.
I periodically pour boiling water and baking soda down my drains. It keeps them running fresh and clean, you can add vinegar too. Lilith D.
Have the kids help by cleaning up their areas. Also I read once that it's best to tackle the hardest & most disliked task first and get it out of the way. Melissa D.
Save money use vinegar\water and essential oils (for scent) to clean. I use it for all my cleaning. Sarah H.
Have a great and clean New Year! This is a compensated post brought to you by Mr. Clean. Mr. Clean is kicking off the New Year with the launch of a new product called Mr. Clean Liquid Muscle, a new multi-purpose, multi-surface concentrated cleaning gel that delivers superior cleaning performance on and off the floor. Be sure to like Mr. Clean on Facebook and follow @RealMrClean on Twitter.